Red Hot Services specializes in roof cleaning. Our soft washing non pressure roof cleaning process eliminates the need to walk on your roof potentially causing tiles to break. Our technicians are trained to work with metal, tile or shingle roofs in the most safe and effective manner. Plants and vegetation are covered with tarps and protected during our cleaning process. Red Hot’s process eliminates mold at the roots and exhibits mold growth for longer periods vs using high pressure. 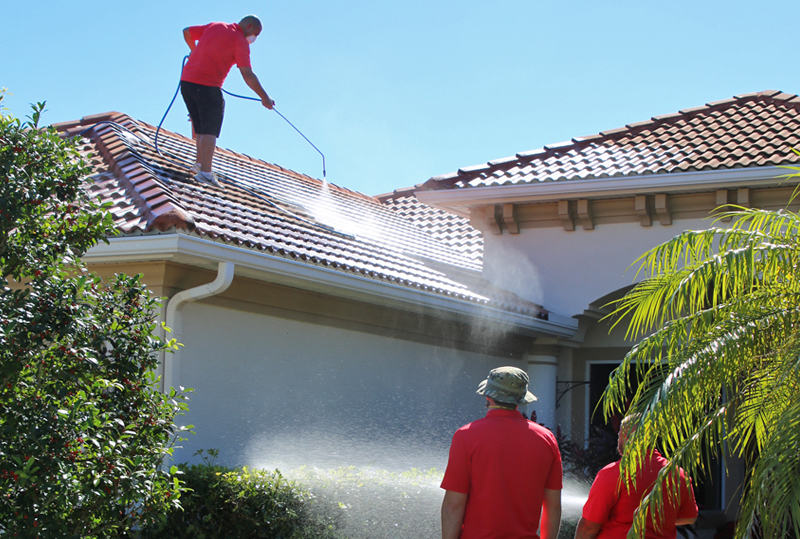 If You want to learn more our our roof cleaning process click here. Our pool cage cage cleaning process starts by us removing or protecting any furniture from your pool enclosure area. We evaluate your screens and aluminum rails to see which areas will need more detergent to remove the mold. 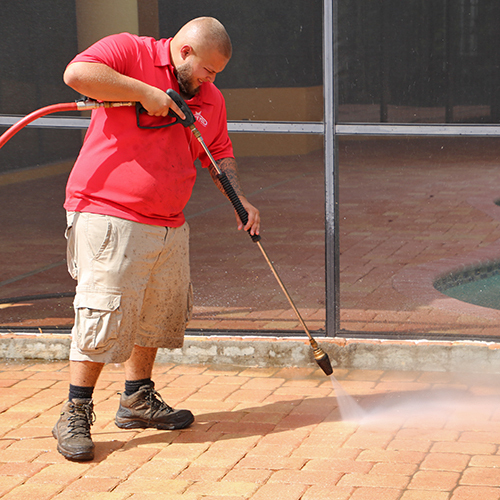 Your pool deck pavers are pressure washed and mold is removed. We give the pool cage and pool deck a final rinse and put all furniture back to the way we found it. Whether your gutters are filled up with leaves and dirt or you would like to have our technicians stop by once a year and perform our gutter cleaning service Red Hot Services has you covered. Our service technicians can clean gutters or determine if your gutter downspouts are clogged and need to be taken apart and cleaned. If you want to learn more about our gutter cleaning call today! 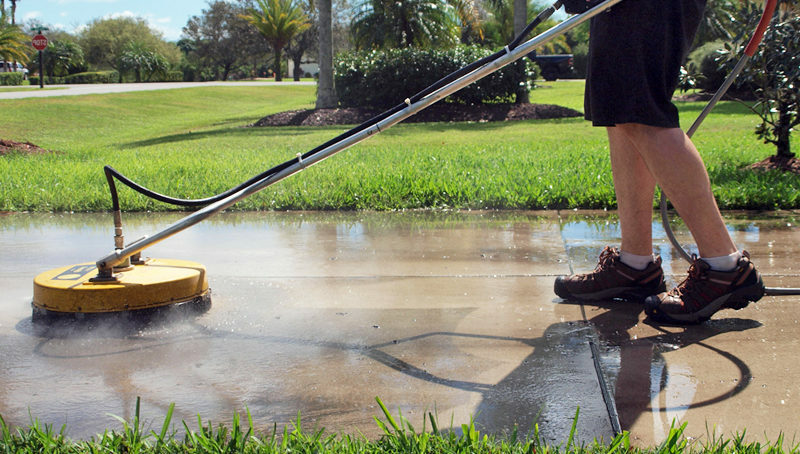 Pressure washing your driveway or sidewalk to remove mold and algae can be an almost impossible task. Red Hot Services has state of the art equipment with hot water pressure washing that can remove mold, algae or oil stains without leaving streaks behind. We pretreat your driveway and sidewalks with commercial degreaser before and after to inhibit mold from growing longer. Tell us a little bit about how we can best serve you. At Red Hot Services we pride ourselves on being professional and reliable. All of our work must pass our customer satisfaction guarantee. 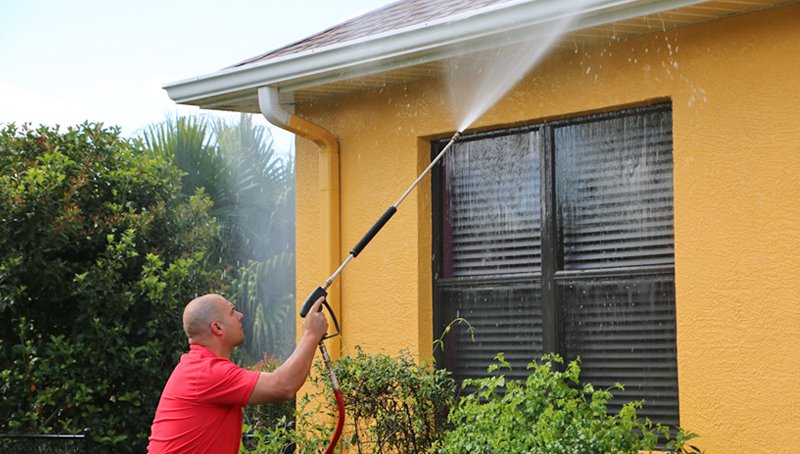 Our technicians will walk you through the process of pressure washing your home before the start of the job. We will make sure to protect any plants, furniture, and electrical outlets to protect your property.